The hair is super soft and true to length. The cap is designed well and it is a full 360. Love my unit! I've had the hair for a while, it is still in gorgeous condition, no tangle or shedding at all. The hair came in 3 business days. Good length and good density. Love it! The unit is beautiful! The hair is extremely soft and very fast shipping( in 3 days) ! Will definitely order from Wowebony again! Omg, I love it, I gotten so many compliments, it's literally the best! A must buy! Great quality! 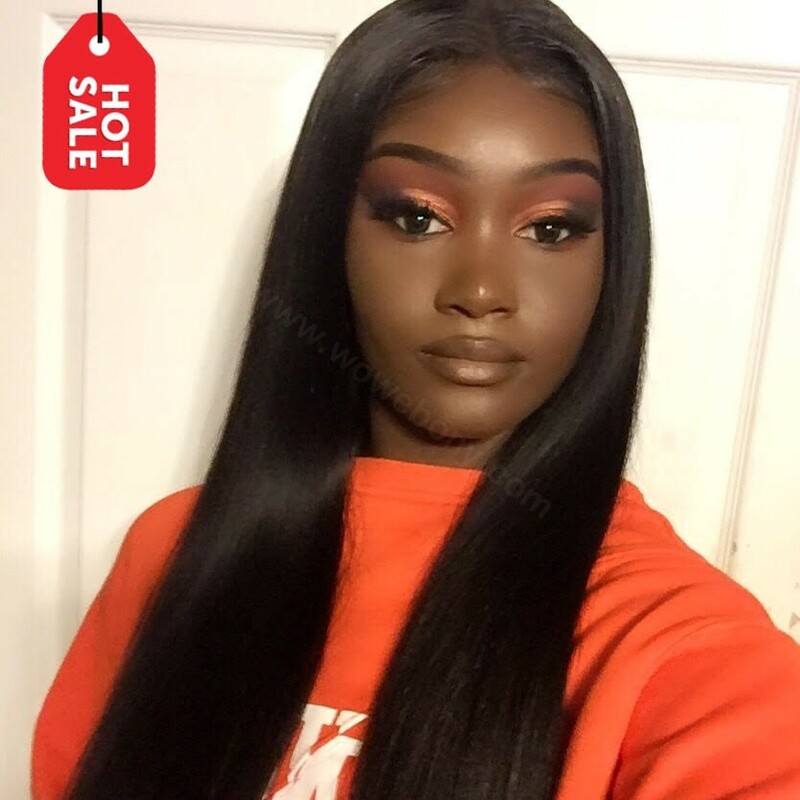 Nice and soft..This yaki hair does not hold curls long time.. That’s why i gave it a 4 star instead of 5, other than that i love this unit no doubt that i will be ordering another one. Hair is very soft, barely sheds. The hair is well plucked, also I ordered their advanced knots bleaching service, it is amazing, the lace is so natural and soft. I do recommend buying! This is a very nice wig. I really like the hair texture and the lace. Excellent customer service and shipping. I hade a great experience. I’m in LOVE WITH MY HAIR!!!! Thanks so much! So many compliments! No shedding No smell JUST PERFECT! Thanks WowEbony! Btw this is my 3rd unit from this company ???? Amazing, it is my first straight hair and it is so natural and soft, I am impressed by WoWebony hair, love it! I have had mine for over 3 months. Still loving her! !The quality is impressive! You got a life time customer! 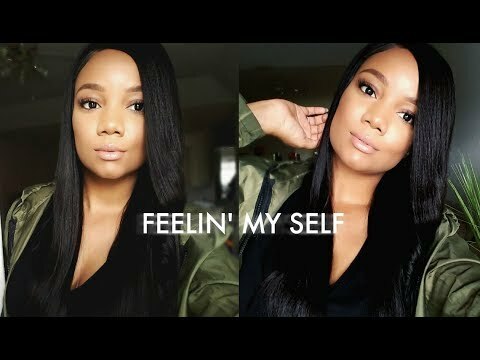 This is amazing, soft and so easy to style, I am new to wigs, love it, thanks! The wig is more than i expected, it’s beautiful . Came pre plucked so didn’t have to do much , seller was veryyyy communicative throughout the whole process i told them i needed it before a certain date and they made it happen . Shipping was very fast took about 3-4 days for me to receive the wig , very satisfied! Excellent quality wig, it’s really beautiful hair. Excellent service! stunning wig! 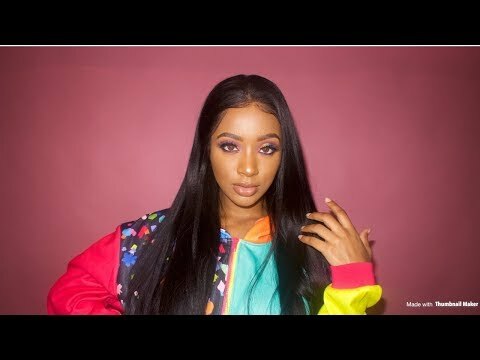 Beautiful wig and fast delivery. I receive it for 2 days. 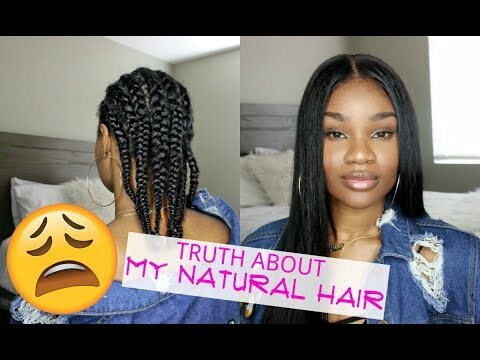 Very cute and super soft, natural hair, I love a lot! This wig is great! I haven't styled it much, I've just been wearing it like it naturally came.It's nice and soft, Ture to length. No shedding so far. Definitely worth the price. I will be ordering more hair soon. The wig is accurate to the description, I got the hair within 3 days. I will be ordering more hair soon. Everything is awesome. The wig is very soft and beautiful. Max was there to answer all of my questions! Shipping was very fast! Ordered Wednesday and received it Friday! I would buy this wig again. Thank you so much for a great quality of wig for a cheap price!!!! Amazing hair and quick delivery! 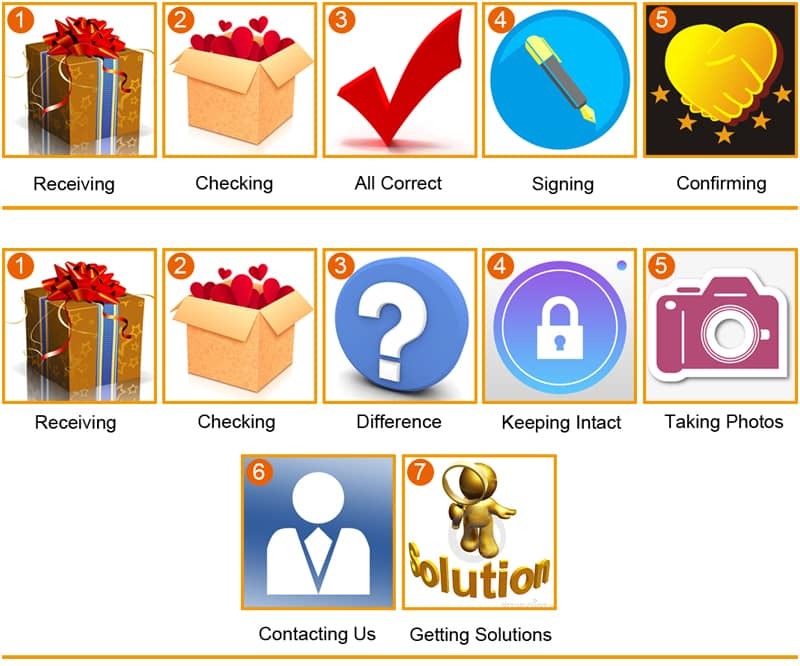 The seller is responsive and extremely helpful. I am very happy with the hair and quality. I got this wig within 3 days, really like it, good quality hair, thank you! Absolutely love! The wig is so soft doesn't have any odour and doesn't shed much. Texture is very soft straight and easy to curl. This will be my go to lace human hair wig. The delivery is fast. The quality of the hair beautiful. The shipping was only 3 days , communication with the seller was great !!! Hair is soft and true to 22”length !!! I love this hair!!! Will post pictures once installed! I will buy again from you! I'm really loving this hair. Very fast shipping. The hair is super soft, No shedding. I will buy again from you! This is my forth wig from Wowebony, they always do best. 100% recommend. Fast delivery! I ordered the 20 inches on Sunday, get it today. The hair is sooo soft and long, mine is 22 inches, I love it. I got it in 4 days. I’ve had this hair for 2 months and it’s still good. Thank you for the best hair! The product was very nice and arrived in 5 day. Thanks for the scarf. This was the best wig have ever buy ,it is so amazing, beautiful.I order at Sunday night and I received it Wednesday morning, I am happy with this purchase! I love this hair honestly! if you hesitating on getting it.. DON’T. This hair is soft and well constructed!! I LOVE IT! I love this wig, it’s super soft and very easy to maintain. WoWebony is amazing, my wig came in just few days, I highly recommend and definitely be buying from them again. I love this wig with super natural pre-plucked hairline, just fit for my head, will order again! This wig is amazing but a little bit big for me, I fixed it by install the elastic band came along with the order! I was nervous but I am SO GLAD I ordered this wig! I am a happy customer! got it within 3 days, so fast, the wig was beautiful, I do recommend. 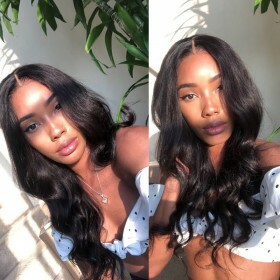 This is my fourth time buying with this seller and i will definitely buy again the hair is beautiful and very good quality it came more faster than i expected. Will buy again soon! I love the look I will be buying more from you! Just receivd my hair, it took 3 days to arrive. Nice hair, no shedding or tangling upto now. Will updated after using for a while! Hair came super fast after I ordered and seller even communicated with me right after I ordered to confirm that everything was right. Very nice and very communicative about it all. The hair itself is extremely beautiful & soft. Will recommend to all friends! 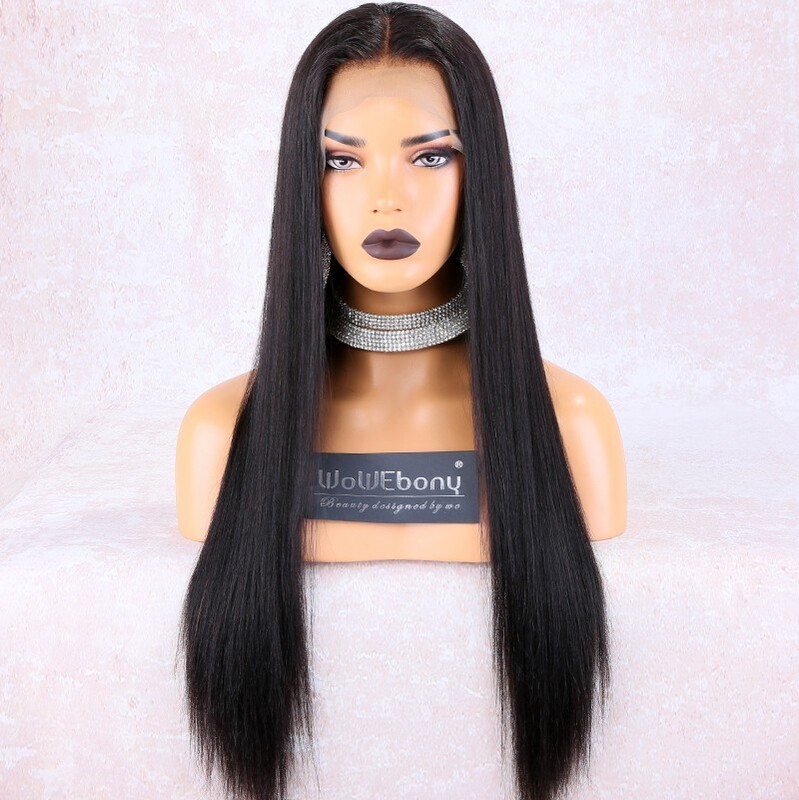 Love this yaki straight wig, easy to style and super natural! Perfect, the wig is quality and delivered in less than 5 days. Am satisfied with this wig. Am satisfied with this wig. The hair is soft, and it's well made. This is the 20 inch wig which is the perfect length for me. I hope it holds up for everyday use. This unit shipped very quickly! It is true to length and has no smell. I did have to bleach the knots and cut some layers in it. Overall, I’m super satisfied! Fast shipping. I ordered last Saturday, receive it today. I just love this hair! Naturally pre-plucked, easy to bleach lace and extra soft. Will definitely order again! Came before time expected. Hair is really soft and wig is very beautiful! Overall this is a great wig for the price! Overall this is a great wig for the price! I love it so much, will be buying more wigs from you! Amazing soft hair, doesn’t sheds and is very managable. I got the hair delivered within a week (in the France)! I would advice people to bleach the knots and dye the hair for that extra diva look! 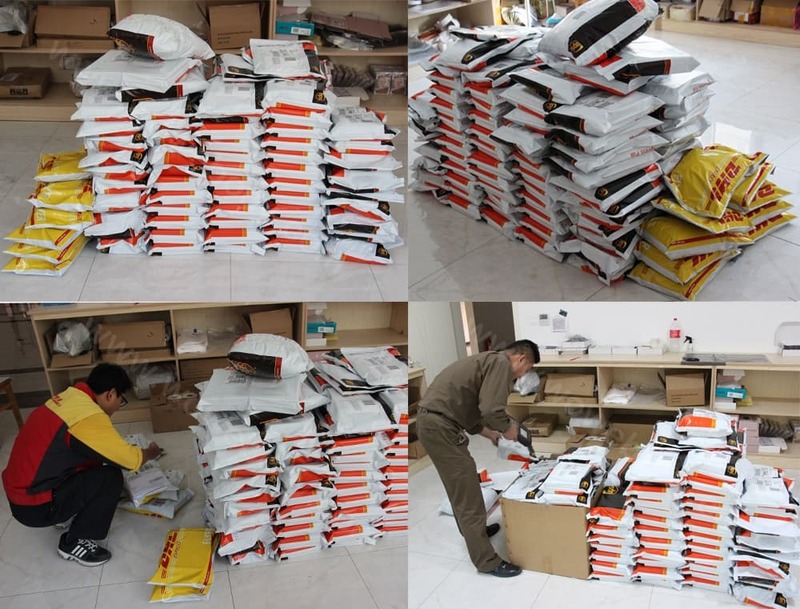 Very fast delivery only 3 days! I'm in love with the hair!!! Very fast delivery only 3 days! I love this wig. I get so many compliments on this hair. I will be purchasing again very soon. That's a perfect wig! I will buy more from you! I will buy again from this company! My second order, which technically means that I love this hair and the company, everything went smooth and fast. I will buy again from this company! Love love love this hair. Love love love this hair. I’ve had it for almost about a month. It’s been washed twice. Just like the new one! Best seller! It is perfect!!! I love this wig, the hair is super soft. Will buy again soon! I am happy with my order!! This wig is good !! this seller is very helpful! I wish they would have blonde color in stock! First time buying human hair wig. Satisfied with it, will buy hair from this company! Love the yaki texture, I tried to bleach knot, #1b color didn't take bleach well! Will order natural color next time! Just got the package, fast delivery, will buy again! This hair is beautiful, nice and soft. Hair is BEAUTIFUL !!!! So soft and amazing !!! Will be ordering again!! I just love this wig I have had it for about one month now and it still look great! The hair is very soft and nice. The hair is very soft and nice. But I didn't receive it before my trip! That's a gorgeous hair wig! That's a gorgeous hair wig! It's just same as the kiara's, thank you wowebony!!! This hair is awesome! The service was amazing! Thank you all! I absolutely love this hair, Will buy again! Fast delivery! Received hair within 3 days of ordering. hair is soft and gorgeous, love love it! This hair is wonderful, minimal shedding and it fit my head perfectly. The Hair arrived earlier than I expected. The Hair arrived earlier than I expected. I am so satisfied with it, will buy more from this company! It was exactly what I asked for. I ordered Friday, received by Tuesday, it's amazing! This company communication was excellent. 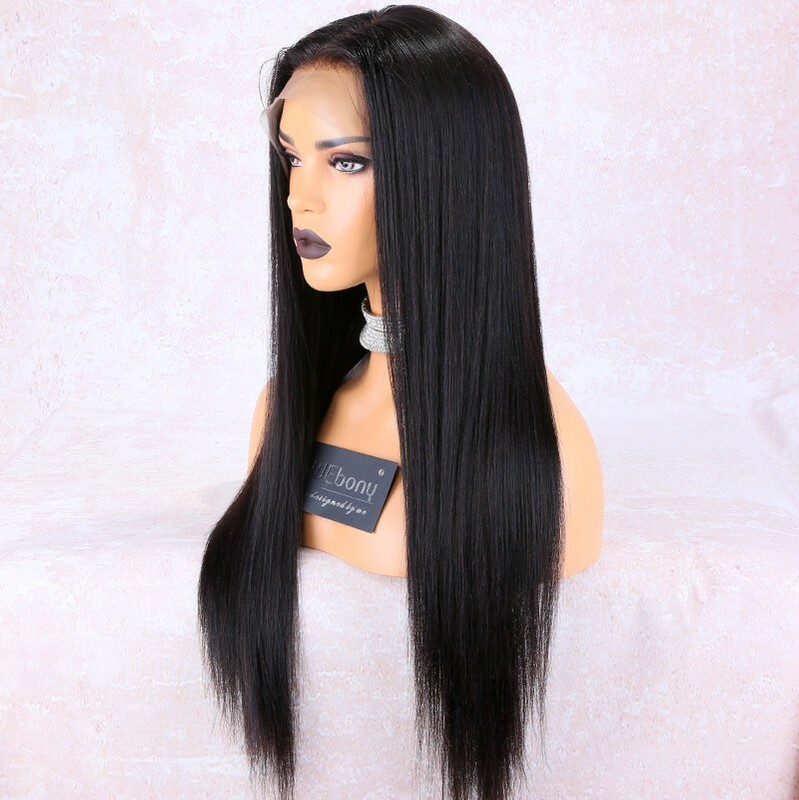 This hair is really great quality, it's the best hair wig! This hair is the bomb, it’s full and thick, I love it so much, and will recommend my friends. the wig is so soft, i bleached it twice and applied dye to it. the wig never shed or tangled. I ordered 20 inches, with a small cap, and free parting. This company is my go to place for my wigs. I just ordered another one. Lovely wig, the quality seems really nice. They even included a wig cap which was lovely. such a beautiful wig! in love. 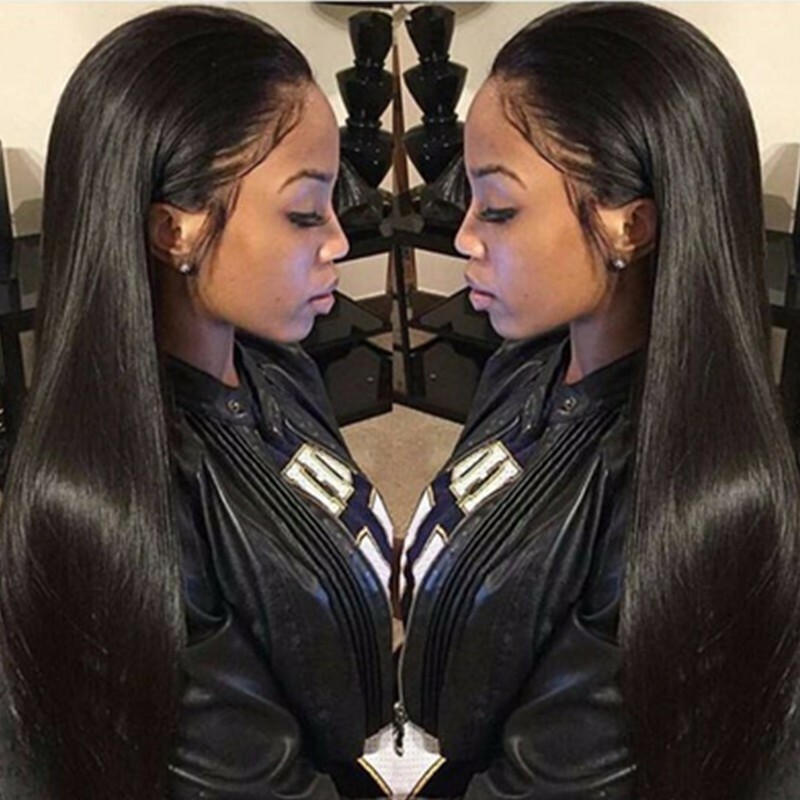 it looks so natural and it's soft, no shedding, good quality! I love this wig! 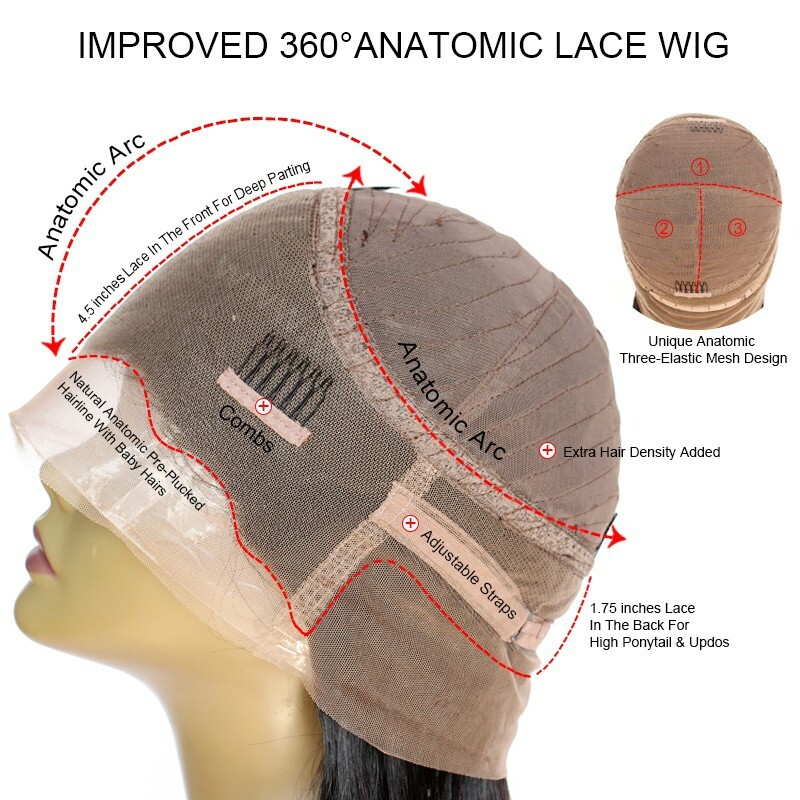 This is a very comfortable wig! I will recommend to my friends! I have receive my order and i like it am so happy with it, I will be buying more from you! I was nervous ordering my first ever wigs. All the nerves went away when i got the wig. Its so beautiful and comfortable. Im so happy I ordered a 360 wig , because it fit so snug on my head. I dont even need to use any glue at the front, just sew in your elastic band and you will be good to go. I received the hair within a week, and the customer service was great. The only downside is that it states that it cannot be dyed or bleached. I am not really sure why but I am not going to take any chances. I LOVE THIS HAIR! Will be ordering again for sure. wow I must say this hair came so nice and the pre plucked hairline was so natural. I love it sooo much! This hair is absolutely amazing! This hair is absolutely amazing! It's very natural and preplucked hairline, just like my own hair! Thank you wowebony! Wig came faster than expected less than a week. Wig came faster than expected less than a week. The hair was very soft and smooth, I love it so much! I love this hair and can’t wait for to put it on! I’ve been buying this hair since last year. The hair quality is always great! the wig its perfect beautiful, I love it so much! Thank you! The hair is very soft, it’s longer than I expected. Good customer service! I will order again! wow I must say this hair came so nice and the pre plucked edges are giving me life!! Received the product very quickly. Very please with it. I ordered Monday, and I receive it Thursday. The wig just like the YouTube review, thank you, youare the excellent buyer!! This is the best seller i have ever had. good communication and very fast delivery 3days only, thank you so much! Super fast delivery! I placed order Friday, get it Tuesday! Thank you so much! Hair came quicker than expected, it’s the perfect. It is great. 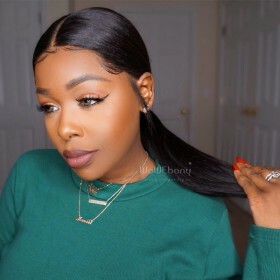 This is the first wig I've ever purchased from wowebony, will buy more from you! The delivery was very fast , the hair are full and long and the quality looks fine . The hair quality was so good! I will be buying another wig from your company, guys! love the hair, been getting so many compliments about my hair. And Max service amazing! 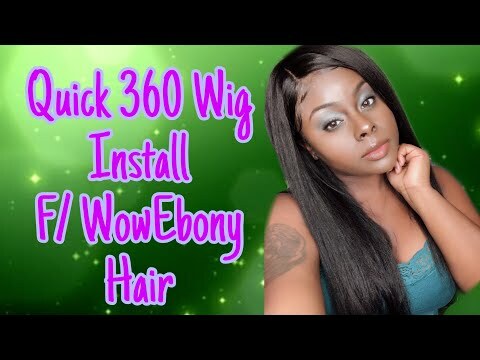 I purchased the 360YS04 360 wig & i absolutely love it! It looks so natural & the texture of the hair is so nice! I bought the 18 inch. I wish I had gotten a longer length but I love how the texture isn’t bone straight so it looks natural on me. Each time I’ve worn it there’s been little to no shedding & i’ve gotten so many compliments on it. I am a licensed hairstylist, specializing in weaves etc. This hair is amazing!!! The light Yaki texture gives it plenty of fullness without being too thick. The size fits great, doesn't tangle, minimal shedding and takes to heat very well. I purchased the 20 inches and I love it. I purchased an 20" and it was definitely 20". The wig just like the described, thank you! I love your company! I am so in love with this hair! I am so in love with this hair! The hair was so soft and silky, just like the one Tara is wearing! Thank you! Beautiful hair! Thank you, I love the gifts! The wig is so pretty, I love it so much! recommended! I loooove this hair!! Soft and silky!! I`ve cowashed it and it`s still in the same condition. Not a lot of shedding, it`s perfect!! took a little longer because the wig had to be made but communication was great! I will buy again from you! No shedding and hair is really soft. Fast shipping! I ordered my wig on March 1st and received on March 5th. No shedding and hair is really soft. Thank you! Very happy with purchase. Good quality! I love the hair straight out the package. I was a bit nervous to order at first but glad I did for an amazing price ! I will buy more from WoWEbony!. OMG It's the best hair I bought ever, it's so pretty, and the hairline was super natural. I will buy again! very good quality, I was waiting for 12 days, but worth it! I’ve had this hair for about 3 weeks now and it’s still holding up really well. One of the best hair I’ve bought. Lovely hair, I love it so much! Hair is soooooo soft. I love it. I will most definitely order again. Hair is great so far! Hair is great so far! True to length and very soft ! & The Seller had excellent communication which I loved! I am really happy with my order, I will stay in touch with this seller/store because it is really good and also thank you for the gift! will shop with this seller again! Hair came exactly as shown! I love it and will shop with this seller again! RECOMMENDED! My client loves the hair, fast delivery very good communication with the seller. 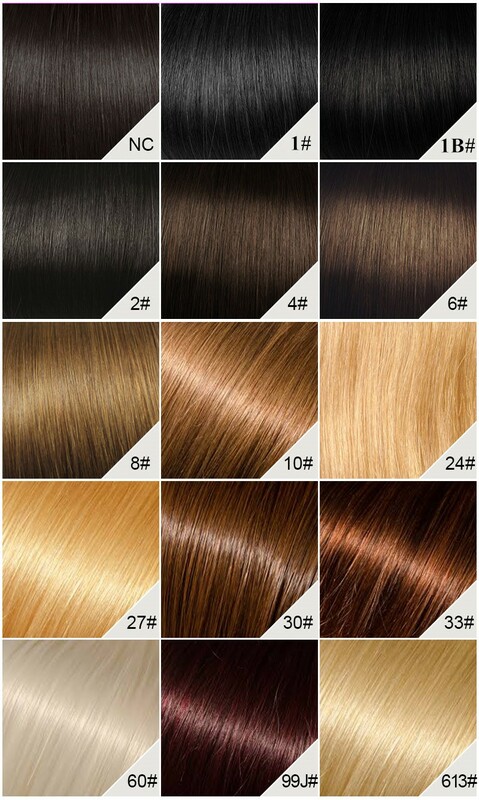 The hair is soft and silky and great value for money. I will definitely be buying this again. The communication with the seller was awesome she was amazing. Thank you! The hair was very soft. Will buy again! WOW~ It’s so soft and beautiful. It came before the delivery date which is great. 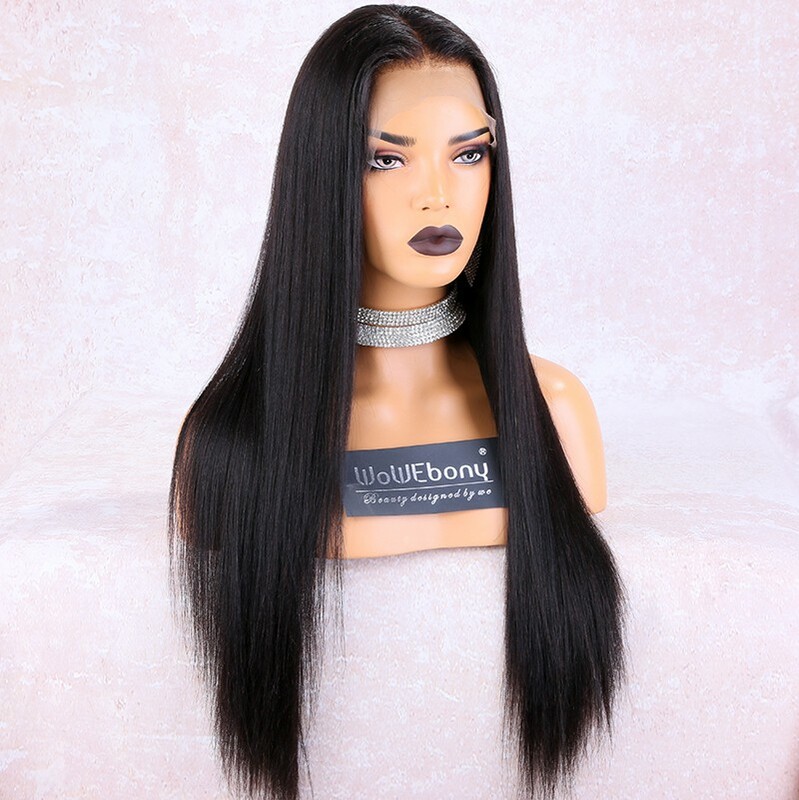 I want to say that Max is so patient and professional, I receive the wig within 5 days, it's really beautiful and natural, WOWEBONY is very professional! I will most definitely order from this company again! Had this hair in for about 3 weeks I love this hair !! vendor was super helpful and nice. I will most definitely order from this company again! 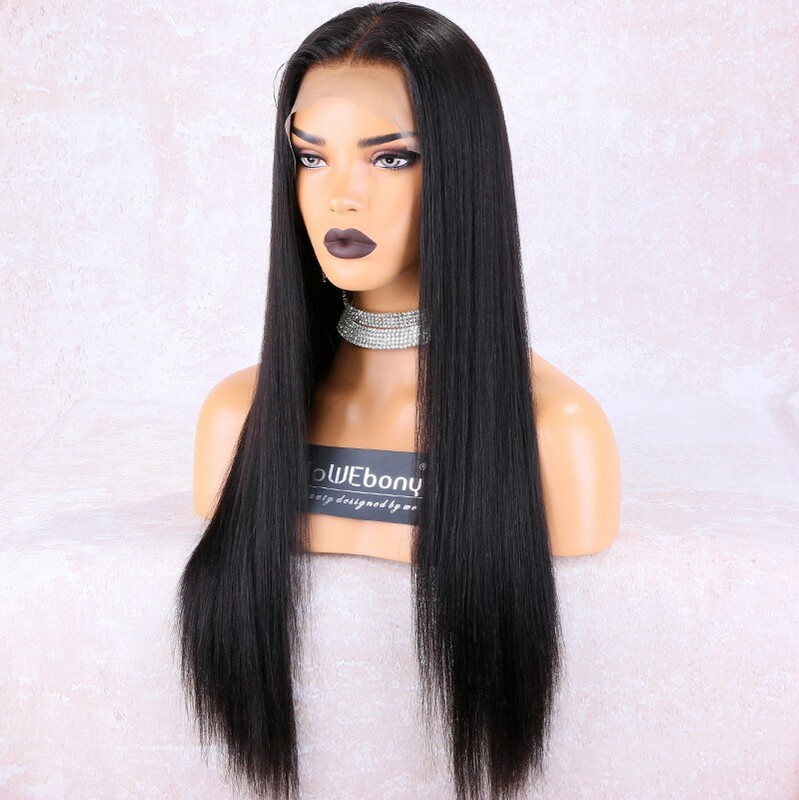 Excellent service and wig, received my hair and it is very nice and soft. Looks so natural I recommend this seller! service, received my hair and it is very nice and soft. I have received my wig only 4 day, gorgeous hair, it's natural with me, thank you. receive 5 days delivery, I highly recommend. and I will order again! The hair is soft and smooth, I styled it, really beautiful! Highly recommend it. This hair is perfect! Absolutely one of the BEST wigs that i have ever gotten in my life!! Good afternoon! i recent purchased one of your wigs and this is absolutely one of the BEST wigs that i have ever gotten in my life!! i purchased the indian remy 360 lace y’all straight wig in 20 in, 1b, medium cap size with a free part and im absolutely in love!! i got so many compliments and i put a few of my friends onto your company! i will be making more purchases thank you so much! Hair is just amazing, and the customer service is excellent.They deserve all 5 stars! I will buy from them again for sure! It is my third time ordering from wowebony lovvvvvvvveeeeee the hair!!! I absolutely love this wig!!! 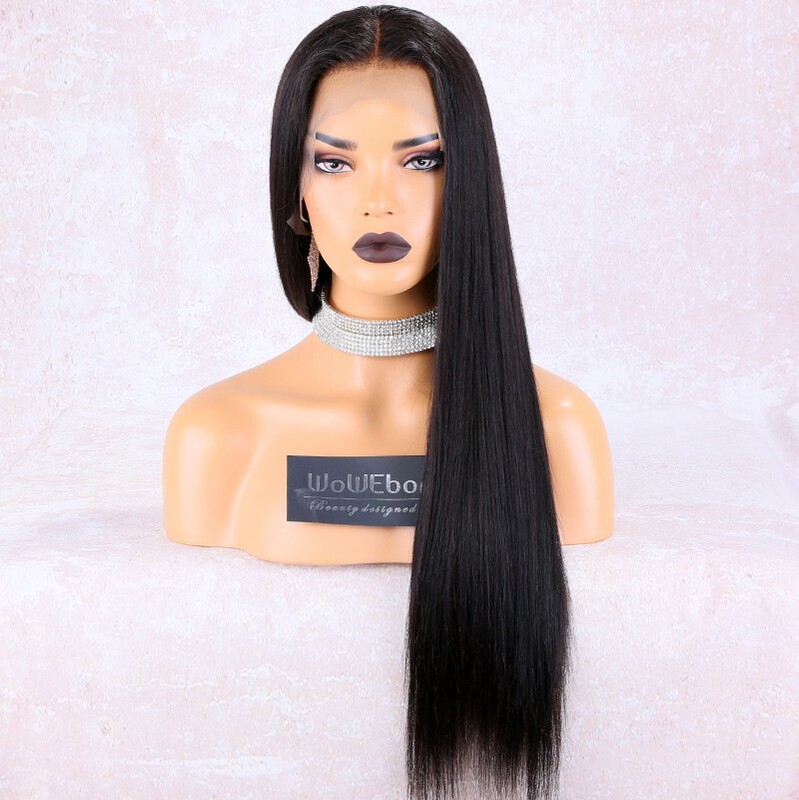 First of all I was a little anxious about getting this because I have never ordered from this site and was worried that I was going to get scammed or the hair was going to be of a lesser quality but I decided to go ahead and order this hair in 22 inches. The seller was very responsive to many questions and demands and answered as quickly as possible!! I got the two weeks later (due to ordering it during the holidays it took a while to get the hair) and I was soo excited to receive it! Not to mention the way the hair was packaged and the little gifts that came with it made me think highly of this company. Anyways I went ahead and bleached the knots in this hair and also plucked it a little bit (to match my own hairline) and let me tell you I have received soo many compliments! 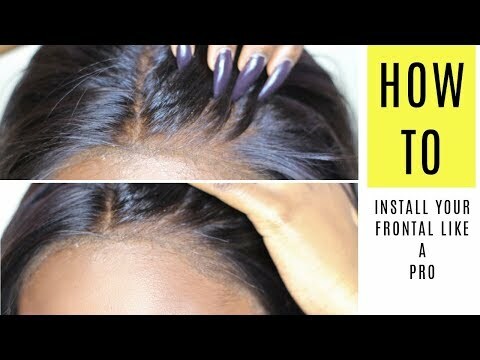 I would definitely recommend this hair to anyone new to 360 lace fronts and also lace front pros! 10/10 and would be ordering some more hair soon for spring break! Just awesome! Love it so much! The hair is beautiful. I will definitely order from here again. I Love the hair! It's beautiful and have had no issues with tangles. amazing fast shipping! Excellent quality. I'm very pleased. Will order more. Its a gift for my sister and she loves her hair she can't stop talking about it. Great purchase! The wig Is exactly like the image, good quality hair. I recommend you buy it and you will not regret. This is my first lace wig!! The hair is soft, does not tangle, this is week # 2. The natural black color is perfect for my skin tone. My Stylest plucked and placed this wig so perfectly that it looks as if it is growing out of my head!!! I will do highlights to this unit as they are called for my next session. I recommend this wig to a few pepole. .I'm very happy with the hair and service. Hair is soft to touch, nice baby hair and plucked well. True to the pictures and very good communication during the whole process.I'm very happy with the hair and service. Love the wig! I'm super happy with it!!! OMG this hair was very full, and coming very good condition, I will buy again from you! Absolutely love it! Gorgeous hair it is! Thank you seller. So far so good, the hair feels soft doesn't smell I bought this for my mom as her birthday gift. I am happy with it. I always order my hair here and I will continue to order and share with my friends. I'm a very happy customer. The hair is absolutely gorgeous, thank you seller! This is my first 360 lace front wig and high quality wig . The unit is beautiful. It has no smells, stains or anything weird. The hair is extremely soft and tangle free. Omg so in love with the hair. Omg so in love with the hair. The hair is soft and u can do anything u want to it. Max was helpful throughout and fast shipping as well! Absolutely amazing hair ! Will buy again ! beautiful!!! I love this wig!!! WOW! The wig is pre-plucked really well. I love it! Fast shipping...the unit is soft. This is a nice yaki texture. I got 18 inches and it was longer than expected but that's ok. Shipping was very fast!!!Thanks! The wig is AMAZING. Very good quality, very silky and smooth. Shipping was very fast. So beautiful! 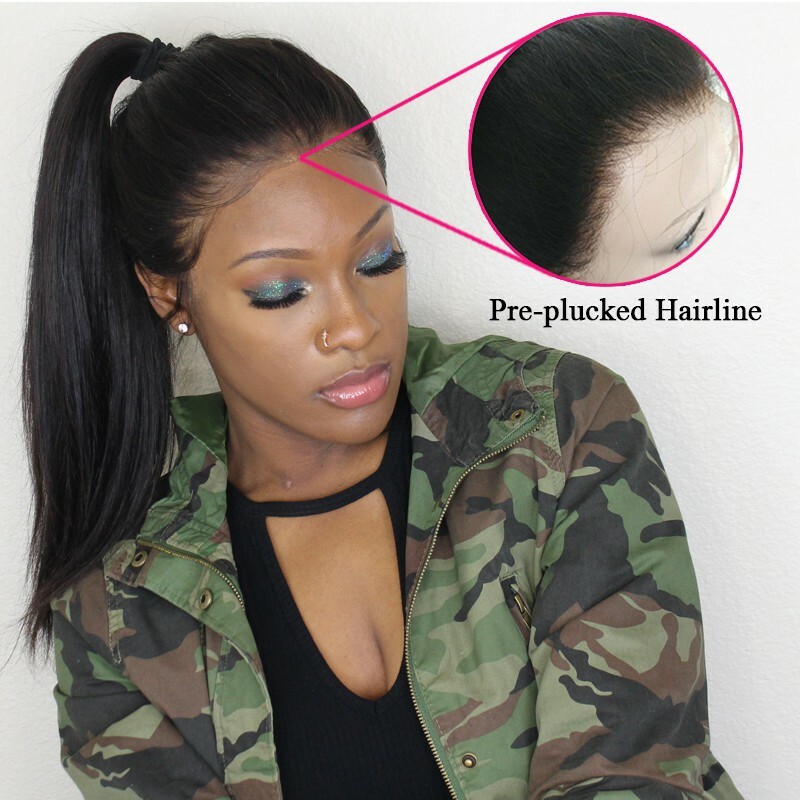 The hair colored perfectly.Full enough to make anystyle I want, The pre-plucked hairline is very natural. 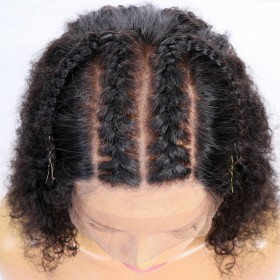 I love the hair.. Super soft..the hairline is pre-plucked, very natural. It's been almost 4 weeks now and I've literally had this wig in everyday. It's a great wig! I order wigs on line often and I've received some good and bad hair and this hair by far has been the best. I love my hair from Chinahairmall. The wig is very beautiful! 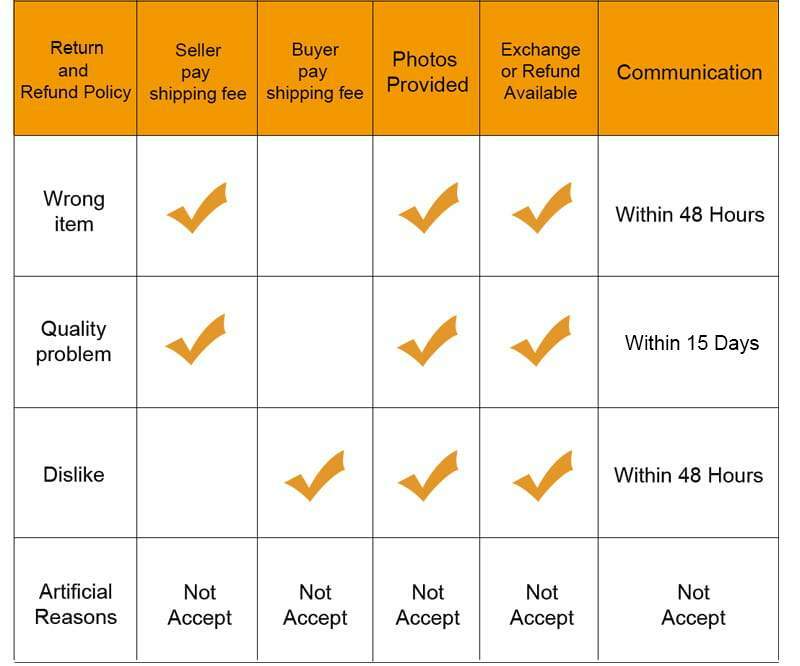 ... the shipping was quick and the communication was very awesome! Only trouble I had with this wig was that the cap size was a little big for my tiny head. However I adjusted and constructed two tracks on the wig and now it fits well. Great wig! The hair is very soft. Great wig! The hair is very soft. The wig looks very realistic, only had it for a day will update in a month. It is also very soft. I love it. So far so good. The hair is surprisingly full. I received it yesterday, but I have not worn it out yet, I just tried upon receiving it. It is also very soft. I love it. This wig is absolutely stunning! This wig is absolutely stunning! It was true to color length and density! My stylist loved working with it. Will be ordering 2 more! I am definitely impressed!